Cua Dai literally means the ‘big sea mouth’. Cua Dai beach is located in the area of Cam An Ward, about 4km to the north-east of Hoi An Town, Quang Nam Province. Cua Dai Beach is over 3km in length and up to 300m in width. The beach boasts fine white sand, clear and blue water, moderate slopes and small waves, which make it ideal for recreational activities like swimming and other sea sports. This beach is closest to Hoi An, is very beautiful and is well worth a visit to cool off when the heats starts to get to you. The only eyesore are the bizarre changing huts and bungalows. It is an incredibly long beach with loads of room to wander off for a bit of personal space, which is so difficult to find in Vietnam. If you spend a day at the beach and elect to take a deckchair, you will be asked to buy either a baguette, some lovely pineapple or a drink, otherwise you will have to pay for the seat. All these prices are inflated, but the pineapple in particular is delicious. 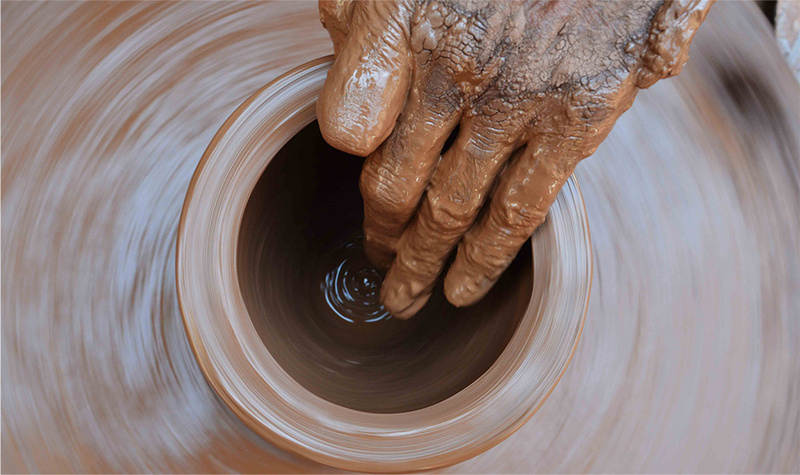 Thanh Ha Pottery Village is located by Thu Bon river, Block 5, Thanh Ha ward, about 4 km westward of Hoi An center. This is one of the stops of tourists on their journey from Hoi An ancient town to My Son- the World Heritages. At Thanh Ha Pottery Village, you will visit a space of traditional occupational village preserved intact in cultural scenery such as: banian tree, dock, communal house, religious monuments and directly enjoy clever, skillful hands of the potters producing high quality utensils. You will also find here folk but attactive gifts. If you are a fan of Hoi An’s popular foods like rice noodle cao lau, chicken rice, and prawn rolls locally known as tom huu, you definitely must visit Tra Que village, some three kilometers from the town. The 300-year-old village is one of the country’s best vegetable producers though it is better known for homestay and agritourism among foreign tourists. In fact more than 20 varieties of leaf vegetables produced at Tra Que are commonly used in Hoi An cuisine. The greens are often praised for being not only organic but also having unique flavors, as local farmers stick to their traditional growing methods that are hundreds of years old – like using weeds taken from nearby De Vong River as fertilizers and not using any chemicals. Thanks to Tra Que’s vegetables, Hoi An foods are best in their birthplace despite the fact that they can now be found in many other places around Vietnam. At the village, even if you have no interest in getting your hands dirty by playing farmers, the experience will not be less enjoyable with trips to family-run eating places around fields. A lot of dishes are worth checking out even if you have had them before. Like the tasty tom huu in which leaves are wrapped around prawns and pork and the rolls are held together by slim green spring onions and the strongly flavored stir-fried mussels with Vietnamese coriander and green onions, just to name a few.